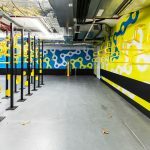 Following the completion of the end-of-trip facility at 190 St Georges Terrace, IA Design were engaged by CBRE GWS to redesign the lobby entrance to capture the identity of the building and improve leasing potential. The project brief was to maintain the character of the foyer, simplify the space and create a more contemporary aesthetic. Working alongside Project Managers CBRE GWS, the lobby was transformed into a modern and contemporary space that has uplifted the presence of the building as whole. Working with a conservative budget, IA Design were required to choose materials, finishes and furniture that would ensure the project was delivered on budget. 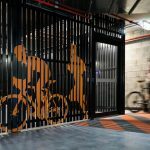 The final design has brought presence to the 190 St Georges Terrace building and developed a successful space to attract and retain existing and potential tenants.